If you’re sitting at your slightly stuffy desk wishing for the cool breeze that whips by your face as you race through the streets on your 10 speed bike, then you’re in luck. 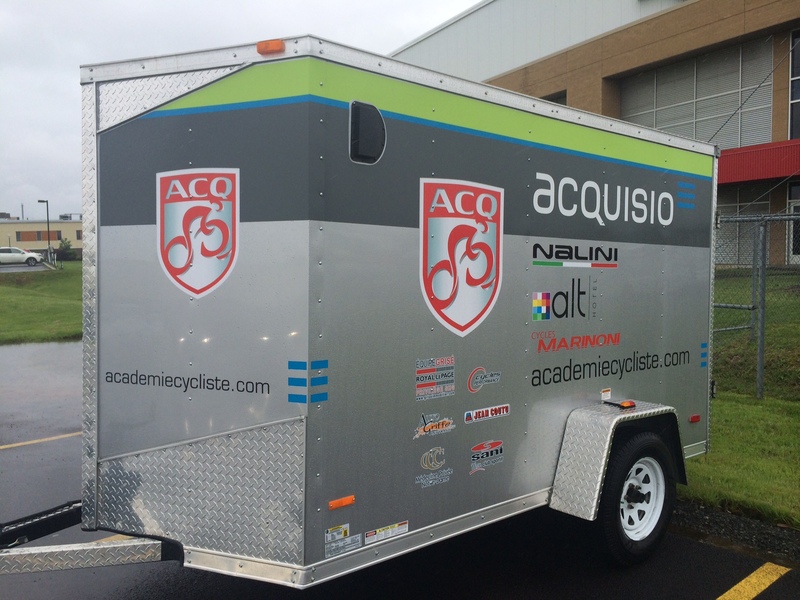 The Acquisio team’s passion for cycling reached a whole new level this year with the sponsorship of the Acquisio competitive cycling team. From the mild comfort of your desk, you too can experience the excitement of the Acquisio cycling team. Robert Duguay, a former bicycle courier turned competitive cyclist, has placed in nearly every competition. We spoke to Acquisio President, Martin LeSauteur, about his passion for cycling, the team’s success thus far, and his (sort of) role as team water boy. LeSauteur has been a fan of cycling all his life, venturing across the U.S and Europe for several weeks on his bike on what he called “cyclo-tourism” camping trips. 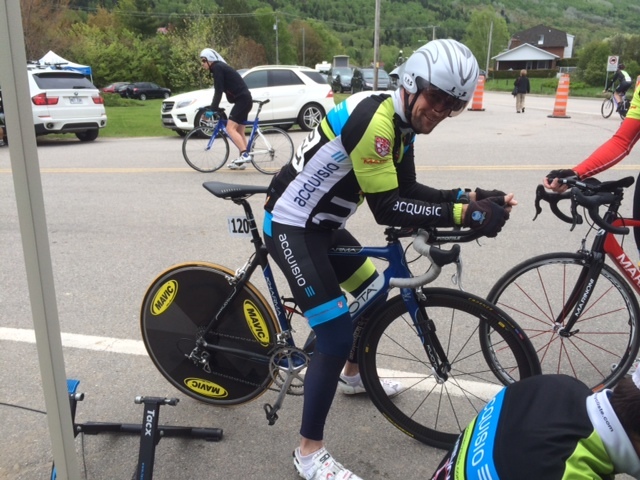 More recently LeSauteur has been into road cycling, and last winter while training he ran into John Malois who coaches a local competitive cycling team. Acquisio’s President then got involved with the team and decided to sponsor the cyclists. “Not only is the sponsorship a great way to support local amateur sports and my passion for cycling, it is great visibility for Acquisio,” explained LeSauteur. Look out for the Acquisio brand whizzing across Quebec this season! 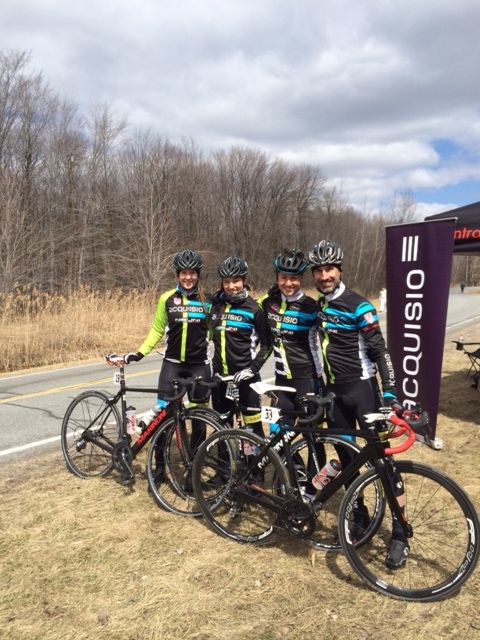 Acquisio’s competitive cycling team consists of more than twenty adult cyclists, from age 19 to 50+. Some of the members on the team are considering a career in cycling and have their sights set on the Olympics or the Tour-de-France. Others have a job and a family and only compete in cycling competitions for fun. “Regardless of their level, all the cyclists are supportive of one another, even when competing against each other during the races,” said LeSauteur. The team is run by head coach, John Malois, a former Olympian. Malois has a degree in physical education and, of course lots, of experience racing. Not only does he create the training plans for the team but he also rides with the team in competitions. “It’s Acquisio’s first year sponsoring a competitive cycling team and we’re already so proud,” said Acquisio’s President. The team has competed in all the races in the province of Quebec since the beginning of the season, which means an event almost every weekend since spring. 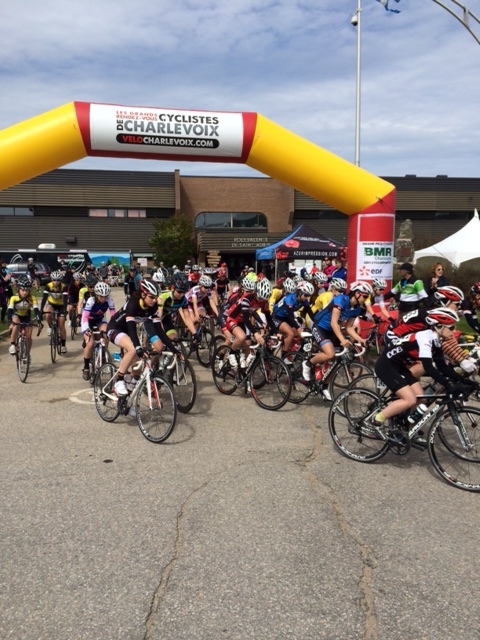 The cyclists has traveled across the province, racing in Saguenay, Charlevoix, St-Agathe, Granby, Gatineau and more. Every Tuesday members of the team participate in “Les Mardis Cyclistes Jean Coutu de Lachine” where they race around the beautiful Lachine canal and calculate performance based on time trials. In St-Martine, the team coach, John Malois, won first place in the Master’s category for the 94.5 km race. 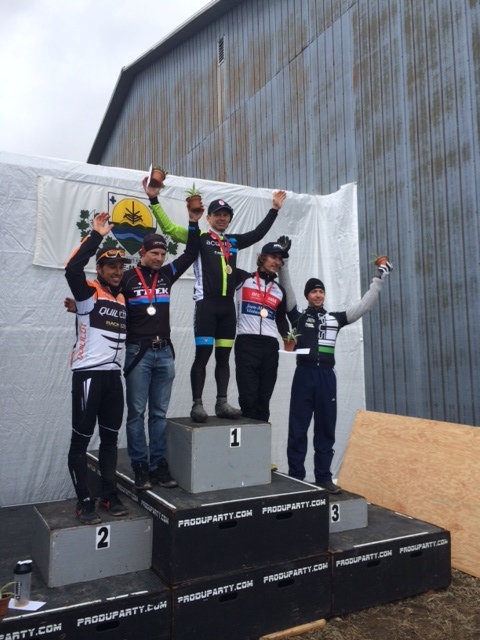 In Charlevoix, seven different team members made the podium in various categories. “It was a pretty good weekend,” stated LeSauteur casually about their performance in Charlevoix. At “la Coupe des Amériques,” held June 27-29, the Acquisio team almost had another first place victory. Zeina Loufti, an Acquisio cyclist, finished second place in the overall classification. She was ahead of the pack by more than a minute thirty seconds, along with another cyclist, Pascale Legrand. Loufti was in first position, following the volunteers marking the path, but unfortunately the volunteers took a wrong turn and unintentionally misled Loufti onto a longer route. Legrand, the cyclist just behind the Acquisio cyclist, knew the course and took the right turn, gaining on Loufti and winning the first place title. Because of the mix up, Legrand was gracious enough to give Loufti his medal and flowers. The gesture was certainly appreciated. Acquisio’s CEO has been very involved with the team, going to all their competitions and even training and competing with them. “When I’m not racing I’m the mechanic, team support, and I give them water bottles on the side of the road,” he explained. LeSauteur has been by the team’s side through ups and downs, sometimes in the same weekend. When team coach, Malois, won his first place medal in St-Martine, two cyclists in another category crashed – one suffering a concussion and the other breaking his shoulder. It can be dangerous and it can be uncomfortable and unpleasant, but “you still race,” says LeSauteur. Keep pedaling Martin LeSauteur and the entire hardworking Acquisio cycling team, we’re proud of you. Keep up the great work!